Ben has been active with the United States Marine Corps for over 16 years. When he is not serving in the Marine Corps, he enjoys weight lifting, hiking and riding his Harley motorcycle. Ben was driving from Reno to Oregon when he first started experiencing neck pain and stiffness. At the time, he chalked it up to his active lifestyle and didn’t give the symptoms too much thought. Unfortunately, his neck stiffness did not go away and it wasn’t long before he started developing numbness, tingling, pain and marked weakness in his left arm. Ben went to his primary care doctor for relief. After his exam, the doctor told Ben he needed to see a spine specialist. Ben had visited SpineNevada in 2004 following a lower back injury while on duty that ultimately required spine surgery. 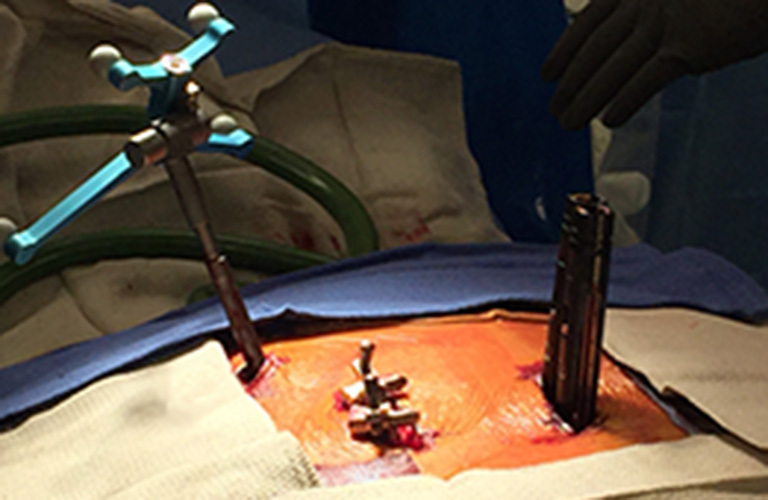 Dr. James Lynch, a fellowship-trained spinal neurosurgeon at SpineNevada performed a mini-open L4-5 ALIF (Anterior Lumbar Interbody Fusion) procedure. 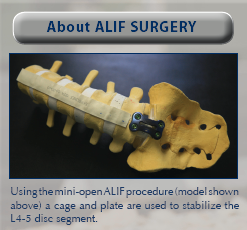 An advantage of the ALIF procedure over a more extensive posterior approach is that the incision is made in the abdomen instead of the back. 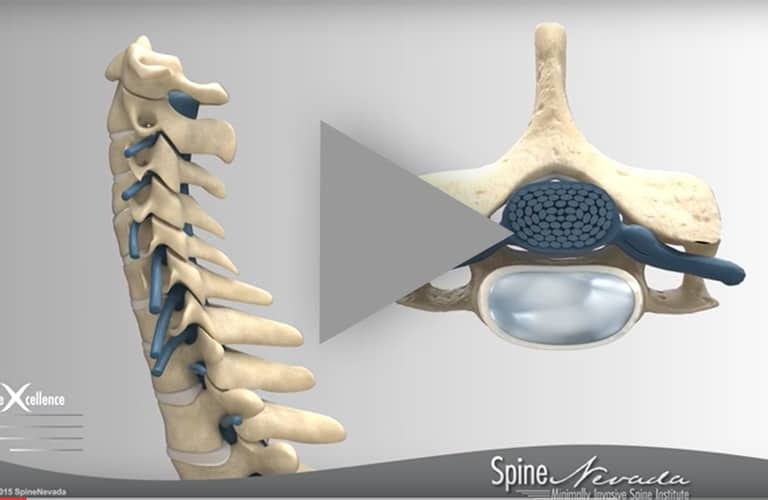 This allows the back muscles and nerves to remain undisturbed. Because Dr. Lynch recommended the less invasive ALIF procedure, Ben was able to remain in the Marines and continue an active lifestyle without restrictions. When Ben realized he needed to see a spine specialist regarding his cervical spine symptoms in 2012, he returned to SpineNevada. At SpineNevada, Ben was first seen by a fellowship-trained interventional pain management physician who specializes in helping patients return to activity non-surgically. The doctor ordered an MRI of his cervical spine which showed a large C5-6 disc herniation compressing and distorting the spinal cord and left C6 nerve root. He next consulted with Dr. Lynch. Meanwhile, Ben’s symptoms were worsening and making his normal, active lifestyle impossible. Dr. Lynch discussed with Ben in detail the problem that was causing Ben’s neck pain, numbness and significant weakness. “Typically, we first try conservative care such as physical therapy and possibly an epidural injection for a herniated disc. 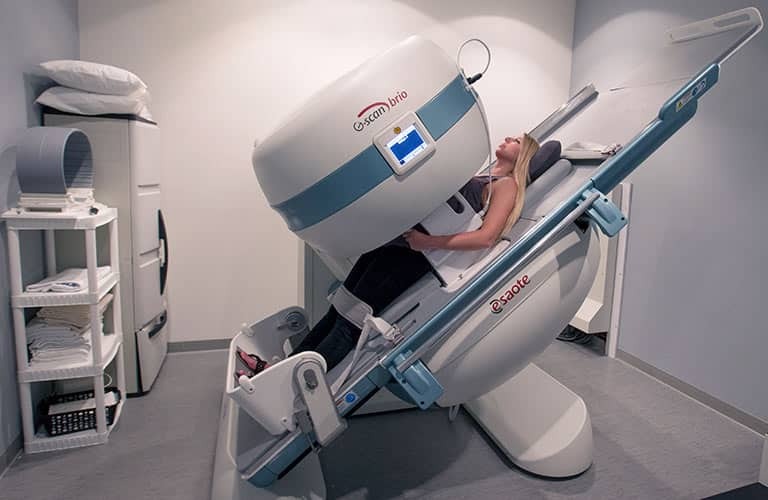 But in Ben’s case of such neurological deficits and the large disc herniation it was felt that surgery was his best option.” Dr. Lynch explains. Dr. Lynch talked with Ben about the spine surgery that would treat his condition, known as Anterior Cervical Discectomy and Fusion (ACDF). Ben was eager to get back to his life in the Marine Corps and decided to move forward with the surgery. 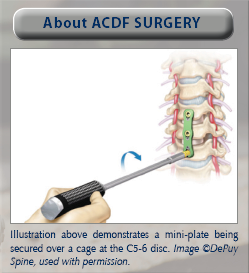 Dr. Lynch performed the C5-6 ACDF and Ben felt much better after. Ben gradually returned to light activity, such as walking. About two months following surgery, he started attending physical therapy where he learned exercises that would strengthen his muscles. He also slowly returned to lifting weights and hiking. Today, Ben is not limited at all in activity and remains pain free. “Being in the Marine Corps is important to me and Dr. Lynch understood this, he has helped me stay active in the Marines twice now,” Ben reflects. He is back to full active duty in the Marine Corps.